To offer band directors multiple suggestions for starting students in a beginning band in such a way that the students, parents, and director are happy with the results. Students and parents should be involved in the instrument selection process to gain trust with the director and to avoid obvious physical, mental, or aural problems that could lead a student to drop band the following year. 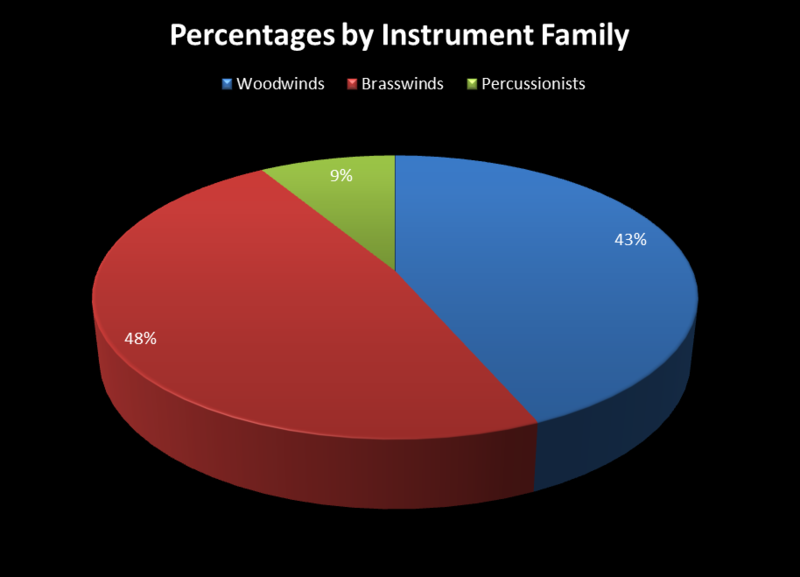 Directors should also work towards building a balanced beginning band with proportionate instrumentation. To achieve the above stated goals, a four step process was documented. Step one involves working with instrument rental stores. Step two utilizes multiple methods of selection from each director. Step three includes "what to do with students while you wait for instruments to appear". Step four involves knowing when the instruments should be allowed to go home with the students. Below you will find a summary with documentation. This information is provided to aid young directors in using an instrument selection method or for veteran directors in tweaking a method already in place. If you are a veteran director and have a different selection method you would like to share, see the form at the bottom of this page and then contact Tim Ostrow at tim.ostrow@yourcharlotteschools.net . handful of upper class students. Directors can find this information through asking veteran teachers and by checking the percentage of free and reduced lunch recipients. 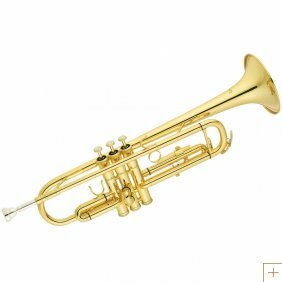 To meet my students needs, I purchase instruments for the band program in the bracket that most parents can't afford or are typically not rentable. 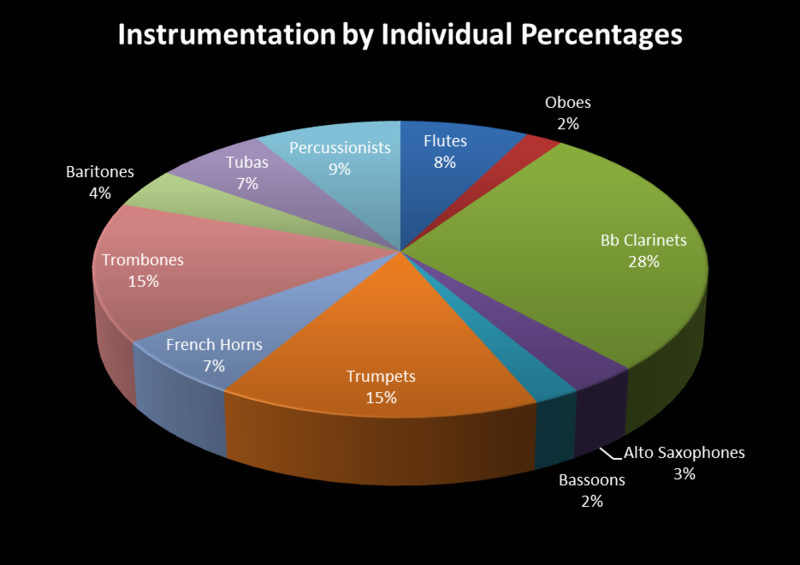 These instruments include tuba, baritone, french horn, oboe, and bassoon. 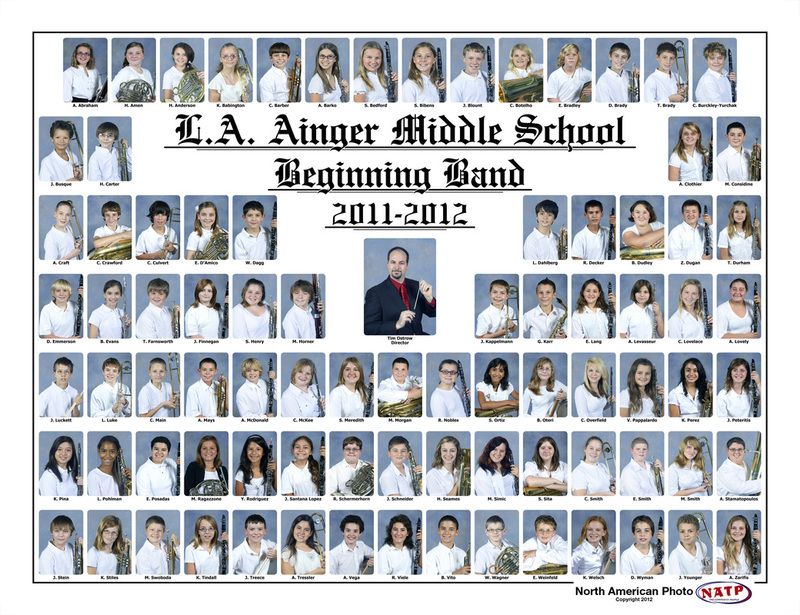 These instruments are lended out to students after testing with a School Owned Instrument Usage Agreement Form. In my county we do not charge for using these instruments as our county covers repair and maintenance. I buy enough tubas, baritones, and french horns for students to have an instrument at home. They share instruments at school. Double reed players, like the remainder of the band must take their instruments to and from home. Students that play school instruments are still expected to purchase their own mouthpiece, cleaning kit, and method book. For remaining instruments including flute, clarinet, alto saxophone, trumpet, and percussion (Bell/Snare Drum kit/Stick bag), I ask parents to rent-to-own through using one of three local companies. I call the rental companies weeks before school and ask them to send me flyers with rental and accessory prices listed. Vendors do not step foot on campus. Vendor flyers along with a self-made Recommended Instrument and Accessories Selection Guide are referred to parents at the conclusion of the instrument testing and selection with the director. Parents/students are responsible for having an instrument within two weeks of the testing process or by the end of the second week of school. Students that do not acquire an instrument receive a Missing Items Form their parents must sign and students return the following day. I record this in the gradebook under participation and begin calling home after the first day if I do not receive it back. I believe students and parents should carefully make a decision about the instrument that will be played for the duration of at least the next seven years from 6th-12th grade. When you buy a car, you research it, look it up online for reviews, and test drive it. Students and parents deserve an educated decision guided by professionals (the director- and his/her peers!). To make all partys inclduing the student, parents, and director happy with the selection result, I utilize an "Instrument Petting Zoo" or "Instrument Test Drive" process. This process ensures the student will play an instrument he or she desires to play, the parents are required to attend the testing and are happy with the guided instruction of professionals, and the director is happy to barter with students and parents after a student has finished testing to achieve a balanced or near-balanced beginning band. During the first week of school, after rules and procedures are reviewed, I spend the remainder of the week teaching students how to breath and blow for a wind instrument and about the different instruments they can begin with in beginning band. This includes flute, oboe, Bb clarinet, bassoon, trumpet, french horn, trombone, baritone, tuba, or percussion. I usually teach flute and double reeds in a single 45 minute period followed by single reeds, high brass, low brass, and percussion. For each instrument I conduct show-and-tell sessions by bringing in professionals, playing videos on the band website, explaining the ensembles each instrument plays in, and showing students what I look for in a ______ player so they know how they will be tested the following week in the evening during a "test drive" after school in the cafeteria. After I teach the last instrument, I hand students a Instrument Petting Zoo Guide which I will later collect as a grade. Students are asked to fill out portions of the form including their grades (All A's, A's and B's, A's - C's), Are they patient (a Yes or No anwer), and a three part ear-training test. The ear training test is typically administered on the first school day of the following week. third for that individual student. For the first test I play two notes on a piano (usually multiple times) and ask them if the second note is lower or higher than the first. I will play these in low, medium, and high ranges of the piano. For the second test, I ask students to sing or hum a pitch back. I will usually ask the student to sing or hum any note first just to find their range. For the third test, I play a chord and ask students to sing or hum back the bottom, middle or top note. The chord played is always in first or second inversion. I recommend that students that don't pass the first test not play a brass instrument or a double reed instrument. Students that pass the second test are recommended to try those instruments. Students that pass the third test are asked to try out french horn if their embouchure permits it. Students are told to circle 1, 2, or 3 on the petting zoo guide as they pass the tests. (bassoon/oboe/percussion), but can have many offense and defense players. their parents about the upcoming "Petting Zoo". To prepare for these evenings I ask my elementary and high school music teachers to assist me in the process. I usually divide them by their primary instrument. In years past I have typically had four or five peer teacher helpers including flute and oboe, single reeds, high brass, low brass, and I personally check them for bassoon (my secondary instrument) at the end. They each have a table spread out in the cafeteria to conduct testing. Students and parents are directed at the door by booster parents to go test on the three instruments they picked and then report to Mr. Ostrow near the exit. Each tester will guide students through the process and in the process check their teeth (ask about braces), check for asthma, or recommend they try another instrument if they have little to no success. Sometimes, breathing and blowing might need to be reviewed. Kids are asked to make sure the air is cold and focused. Each tester is given directions for what to test and look for in a student. Flute - Tested on the head joint only. Students are asked to say "poo" to form an embouchure. The head joint is placed on their bottom lip as they blow with the proper embouchure. The end of the head joint is then closed off with the instructors spare hand. The student is then directed on how to produce three pitches with just the head joint. The instructor will write on the students form a long tone count on the head joint as well as how many partials were hit. Students with a "tear-drop" lip are asked to pick another instrument as they will not experience success. Step 3 - What do You do with the Students While Waiting? I typically wait a few days after the testing and selection process to allow parents to acquire an instrument. Most parents use my instrument selection guide and rent to own from a vendor that delivers the instruments to the school so that students do not feel tempted to play with the instruments until they are being guided by the director. I often teach students basic note reading of treble and bass clef within the staff as well as basic rhythms. I use self made power points to display notes on a projector screen. This is a great time to make learning fun through the use of note naming and rhythm games. I also emphasize that the students will already know how to read some music before they play an instrument. Step 4 - When Should the Instruments go Home? 1) Unlocking the band locker Pass-off. Prior to teaching how to operate a turn dial lock, I hand out instruments and asseccories which I sorted by period the day before. I instruct the students to not open the cases or play with the accessories, but to place it on the floor in front of them. In addition, I also ask teachers of some advanced band members if they can come in and help the beginners with their lockers. After the advanced band members are in place and the instruments and accessories are administered, I model for the class how to open a turn-dial lock. Then I ask them to bring their planner, a pencil, and their instrument/accessories to the locker room by section. In the locker room they write their combination codes and are helped by the advanced band members in locking and unlocking their lockers. To receive the pass-off, students must show me or an advanced band student they can unlock their locker three times without any help. This process is important because students will need to be able to open their locker in a hurry if they pick up at the end of the school day. I also utilize a countdown for the students so they know when they should be in their seats with their instrument, music, and pencil. This saves valuable fundamentals and rehearsal time. I also like to time how long it takes the class to be ready. I emphasize the need for safety over speed. 2) Proper Instrument Assembly Pass-off. For this pass-off students must have their method book. In the first few pages of every method book, there are pictures that identifify the parts of each instrument with instructions on how to assemble each instrument. I ask students to look to this page, but they are not allowed to begin until I can work with their instrument group. For each group I model how to assemble and the students mimic AFTER I have completed each step. We then put the instrument together and then take it apart as a group. Finally, each student is observed in assembly and dissassembly. Upon proper assembly, the student receives the pass-off. When I move to the next section I ask the last section to practice quietly while I work with the next instrument group. Students that talk or act up are simply asked to pack up and lose participation points for the day. This last stipulation often creates a very attentive atmosphere and begins to foster a patient classroom environment that is necessary for proper rehearsals. 3) Proper Instrument Holding Pass-off. I teach this pass-off in tandem with the instrument assembly pass-off and utilize the method book once again as a guide with myself as a modeler. Students again are individually checked for proper posture and instrument holding. Percussionists are check for hand possition and grip. This is a great time to also teach percussionists some basic rudiments that are specific to their instrument. They can practice these rudiments on a practice pad on the percussion cabinet, or a music stand. 4) Proper Embouchure and Long Tone Pass-off. I once again refer to the students' method book and model for each instrument; however, I do not allow students to play the entire assembled instrument. Flute players may only play the headjoint until they achieve a six second long tone. Clarinet and saxophone players play with the barrel/neck and mouthpiece alone and must match pitch and maintain a steady long tone for a minimum of ten seconds. Double reed players need to perform a crow for ten seconds. 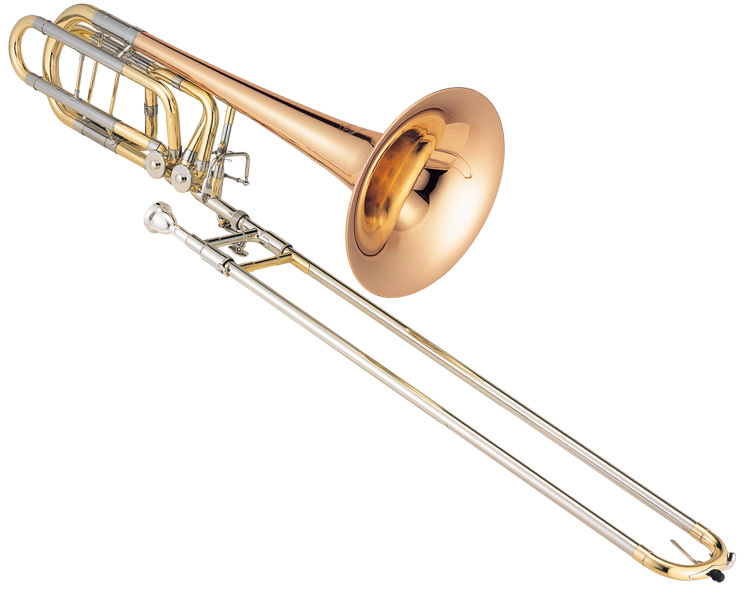 Brass players need to hum or sing a concert F pitch and then buzz the pitch for ten seconds. During this process, percussionists play a new rhythm that I write on the board and repeat it on a concert F using a keyboard instrument/snare drum (turned off!). 5) Proper Instrument Care and Maintenance Pass-off. To prepare for this pass-off, I send a half sheet band update home with the students which informs the parents that their child will need some basic maintenance equipment to receive the final pass-off. If a child is missing a cleaning swab, valve oil, cork grease, etc., I circle on the sheet which items are missing. The parents can purchase these items from our county repairman (who I ask to come in two days in a row- he loves it since it is preventive maintenance!) who will be at the school to assist in administering the final pass-off. The students bring in an envelope with the money needed with Larry the repair guys name on it. He teaches the students in each section how to clean and maintain their instruments through a show and tell process. When he moves onto the next instrument group, I follow behind him asking each students to individually show me how to clean and maintain their instrument. Each student is then given Larry's business card to keep in their case. We teach the students that if they have an instrument problem, they should see Mr. Ostrow first. If I can't fix it (anything that requires bending!) they are asked to then call Larry. This rule applies to all school owned instruments. The majority of the students are on a rent to own plan. They are asked to inform me first, and then call the music store for maintenance and repair. I always remind them to ask for a loaner and keep their accessories and music until they receive their instrument back. Most music stores will allow students a loaner instrument. Once the five pass-offs are completed (100%), students are instructed that they may begin to take their instruments home everyday at the end of class or on the way to the bus. They are reminded to bring it back the next day in the morning before homeroom begins. I have them write in their planners what they should be doing at home. The first week they bring it home, they should be working on a concert F long tone to develop their embouchure. Percussionists should be practicing grip and perhaps some rudiments like a simplified long roll, flam, drag, or four stroke ruff. I check their timing everyday for about a week to two weeks until the band can play with a somewhat characteristic tone. If You are a Band Director, Help Contribute to this Project! If you would like to help, please fill out the survey to the right and e-mail your finished project along with other forms of media to tim.ostrow@yourcharlotteschools.net . The purpose of the project is to share what you do with other band directors; therefore, you will need to agree with the statement of consent at the conclusion of the survey. Your project will most likely then be posted here and later presented at the FMEA Convention in January 2014. Also- please note that the students and their parents depicted above signed a media release consent form. If you wish to submit such media, please also acquire consent.